If you are pregnant, or have ever been pregnant, or even know anyone who has been pregnant, than you have probably heard one of these myths. These items or activities supposedly induce labor. I am only a few days away from giving birth, and if any of these were true, I would be in labor right now instead of writing this. And last time when I was pregnant with my daughter I would have given birth a lot sooner as well. 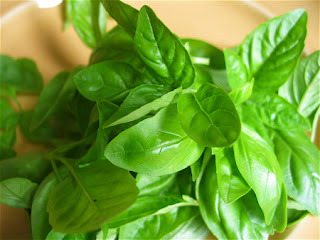 Basil is a staple in our house. Very few dinners we consume do not contain this herb. I am still waiting for the contractions to start. I walk an average of four miles a day, half of which is at an incline. Again, I have not induced anything more than perhaps some toned legs. As toned as legs could get when you are nine months pregnant and retaining more water than you ever ingested. Is that even possible? This one is not so much an induction myth as a myth about premature babies caused by mothers drinking coffee while expecting. Regardless, according to my previous post, my baby should have been born early. As before, I am not saying caffeine has zero negative side affects, it just appears that early delivery is not one of them. The specifics of this activity are really not for public disclosure. All I can say is that I should have popped this kid out last week. Disclaimer: The sample size of my findings is one. I am the only subject used in this, um, study. If any of the above happens to help you induce labor, please share. If anything else helped you, or anyone you know, along, I would love to hear about that too.